The Finance Director is responsible for overseeing the finance and administrative functions of the program ensuring compliance with the award terms. The Finance Director will be responsible for management of all accounting, including sub-grants, and ensure financial operations are in compliance with USAID regulations. S/he will be responsible for ensuring that adequate financial management systems are in place and functioning. S/he will maintain transparent financial and reporting procedures and effective operation of financial controls and will provide concise and timely financial reports that will give an overview of the financial status of the award. S/he will be responsible for record-keeping, financial functions and internal control systems. S/he will work closely with the COP and other team members to ensure resources are effectively and efficiently budgeted and managed to achieve activity deliverables. • Provide oversight of financial management, monitoring, procurement, and reporting for all project tasks. • Supervise a team of finance staff and ensure their compliant and efficient support to the program’s activities. 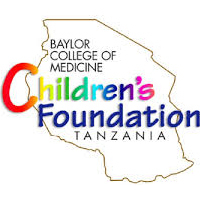 • Maintains a system of tracking donor financial reports and ensuring Baylor Tanzania is in compliance with Donor deadlines. • Reviews all the prepared Donor financial reports and ensure the approval of such reports by Chief of Director before submission. • Analysis of actual to budget results to identify problems in accounting or compliance. • Supervises all Baylor - Tanzania bank relations and bank account activities. • Supervises the timely preparation and review of all the monthly bank account and cash reconciliations. The Director of Monitoring Evaluation and learning, under the supervision of the COP, will be responsible for M&E technical oversight., manage and implement cPTCT monitoring, evaluation and training plan, specific to the National guidelines, support program planning at country level, and help organization’s understanding of its program approaches and outcomes. He/she will contribute to the project’s information management by advising on the planning, design, and strengthening of project MEL systems at different levels. • Provide direct support and technical assistance for the development and implementation of monitoring and evaluation system/framework including the Activity Monitoring and Evaluation and Learning Plan. Plan which includes targets and a results framework. • Supervise program M&E staff and provide technical support, training and mentoring to M&E officers . • Ensure data quality by conducting data quality assessments (DQAs) on all project indicators. • Prepare technical reports, summaries, protocols, qualitative and quantitative analyses based on results to assist project in adjusting program activities. • Oversee the design and implementation of any assessments, special studies and operation research required by the project. • Collect and disseminate best practices and lessons learned from the project. • Prepare routine reports, presentations, brochures, project summary sheets, newsletters, highlights and other publications as required by the project. • Ensure the continuous monitoring of program progress in close collaboration with MoHCDGEC, USAID, and other implementing partners. Position Summary: The Technical Director will work in close collaboration with the COP and the technical staff of the program to provide strategic input to the program. In collaboration with the Monitoring Evaluation and Learning (MEL) Officer, s/he will monitor program results and be responsible for the quality and accuracy of technical interventions and results. • Provides technical guidance for Comprehensive Pediatric Testing, Care and Treatment programs by updating implementing partners on technical advances and lessons learned around the world. • Collaborates with other team ' members to ensure national and international standards, guidelines and protocols are adhered to. • Participates in organizing regular technical updates/review meetings for Comprehensive Pediatric Testing, Care and Treatment to program staff. • Provides continuous guidance and improvement of the quality of the care and treatment by regular application of quality improvement and Site improvement and Monitoring Systems approaches. • Develop and scale up change packages that addressing the gaps and challenges to ensure continuum of care and response in attaining the 90-90-90 targets in scale up districts. • Supports health facilities in achieving and maintaining ART accreditation. • Leads and supports other quality assurance activities as required. • Provides technical guidance during the development of program annual work plan and participates in the planning and budgeting activities. • Coordinates technical reporting according to denned reporting schedule and writes regular monitoring and technical reports as required and contribute to Baylor – Tanzania reports. • Assists in identifying, documenting, disseminating and scaling up best practices in Comprehensive Pediatric Testing, Care and Treatment. • Represent Baylor Tanzanit in the supported districts and at national level. ● Exceptional English written and oral communication skills. The COP will provide overall leadership and managerial direction for the program. S/he will fulfill the diverse managerial requirements of the project. Based in Tanzania, the COP will have technical and management responsibility for all activities and personnel and will be the Recipient’s representative to USAID/Tanzania, GOT, other donors, and key stakeholders. The COP will have overall responsibility for addressing award related matters. S/he will be responsible for the smooth implementation of the project and for effectively addressing problems and challenges that arise during performance. S/he is responsible for timely and accurate delivery of all reports and other program products. • Exceptional English written and oral communication skills; Swahili is also preferred. Ensure that all Trust operations and activities comply with the Deed of Trust, Conditions of Service, BIPAI service line agreements, memoranda of agreement and applicable laws of Tanzania. Ensure alignment of all Trust activities (e.g., finance, administration, communications, public and government relations, clinical services, research, education, and outreach) with Tanzania law and established policies of the Trust, BIPAI and relevant partner institutions. Supervise and evaluate the performance of department directors as defined in the Conditions of Service. Provide feedback on the performance of Baylor College of Medicine (BCM), BIPAI, Texas Children’s Hospital (TCH) staff, faculty and/or volunteers to relevant service line leadership as requested. Provide fiscal and budgetary oversight of the Trust. Support clinical and research activities of the Trust. Foster positive internal and external relations.